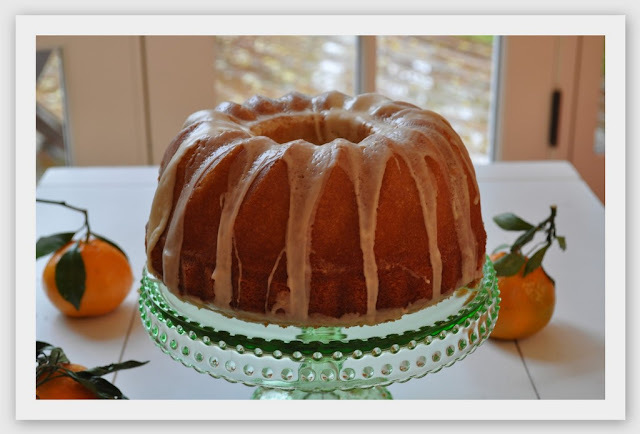 I saw this cake on the most recent cover of Everyday Food Magazine and said to myself, “I just have to make that.” I was looking for a breakfast cake for Thanksgiving morning and this one fit the bill perfectly because it looked so refreshing and it gave me an excuse to use my bundt pan again. This bundt cake was a bit labor intensive as you have to zest and squeeze about 8 tangerines. It was well worth it in the end, as we all enjoyed an extra large slice of this on Thanksgiving morning. 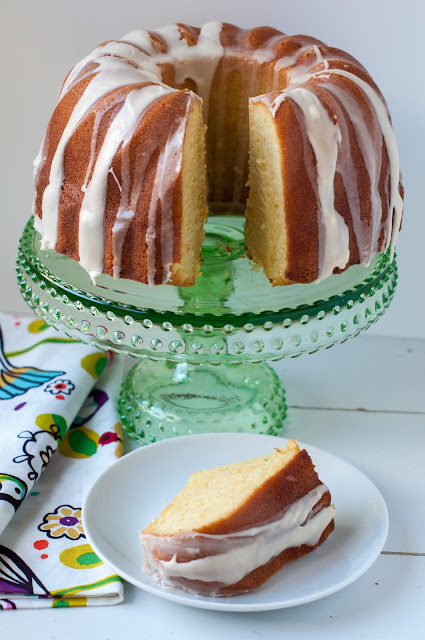 Note: It’s best to make this cake a day ahead so that the glaze can set overnight. Just cover and store the glazed cake at room temperature. 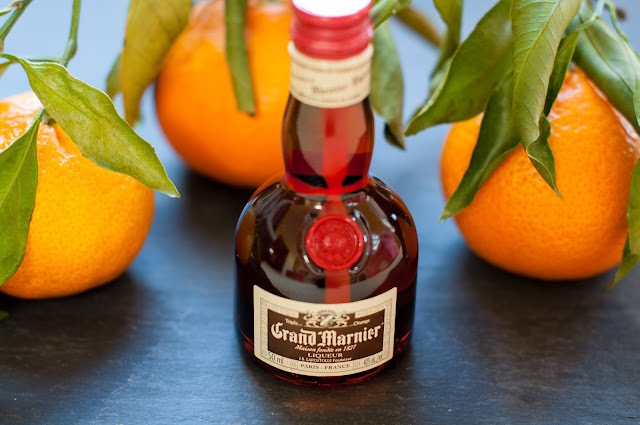 OK, so I did not have any orange liquor lying around the house, nor did I want a whole bottle of it (yuck), so I went to my local BevMo and asked if they had any travel size bottles of Grand Marnier. I was in luck as they had tons of these travel sized bottles hidden in back. Isn’t it just the cutest thing, so tiny against the tangerines? As you all know, I like to prep my ingredients ahead of time, so lets do that. 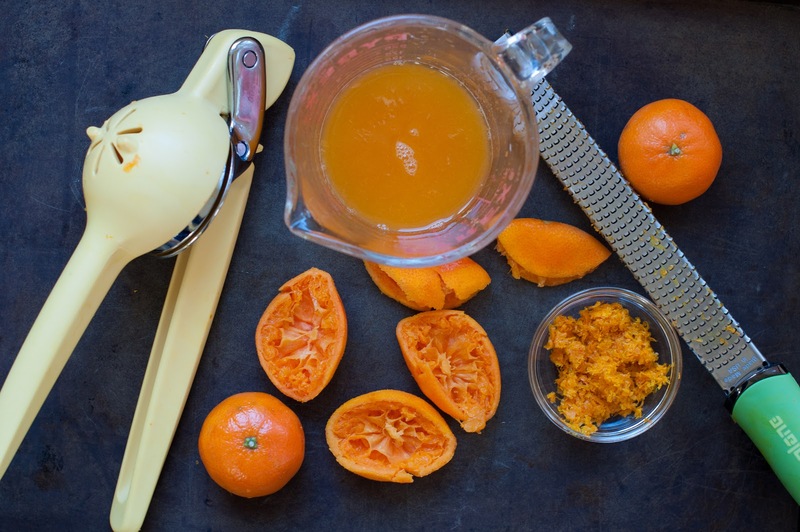 Zest your 6 tangerines, then cut them in half and squeeze the juice out over a glass measuring cup until you get 1/2 cup full of juice. I just love all this vibrant orange color! 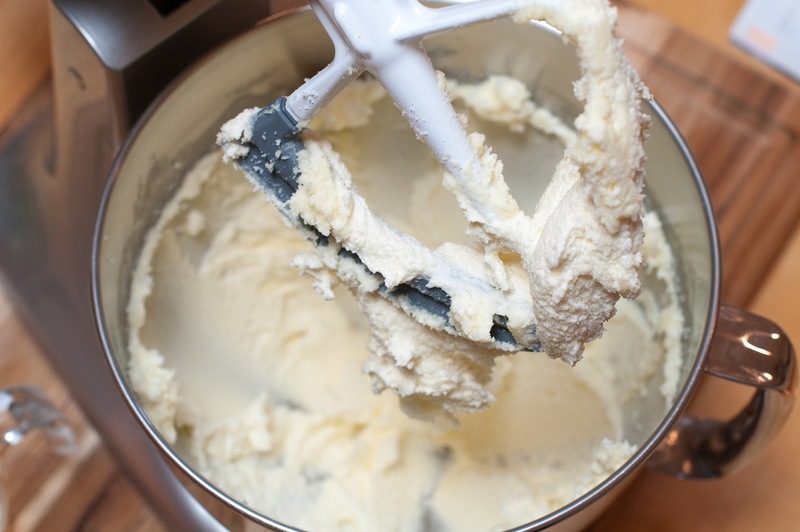 In a large bowl, using a standing or hand-held electric mixer, beat your room temperature butter and sugar on medium-high until light and fluffy, about 5 minutes. 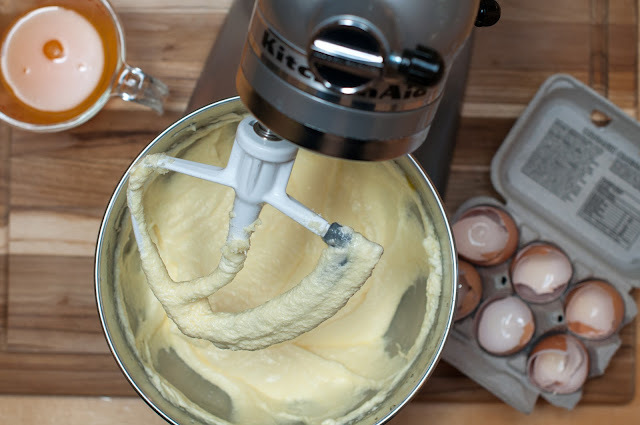 Note: Your cake mixture will get creamy fast just by adding the eggs. Beat in tangerine zest, tangerine juice and liqueur. 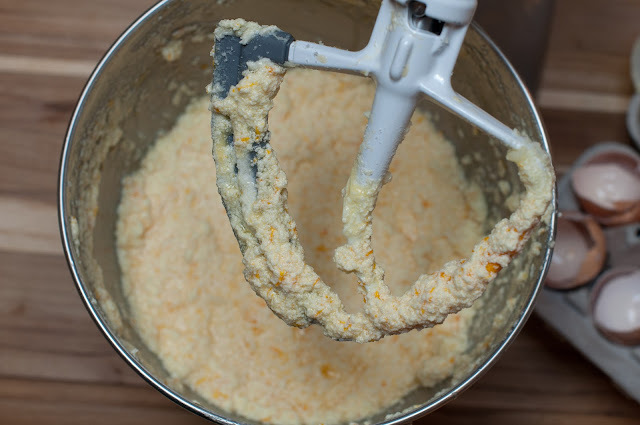 Your mixture will look a bit curdled at this point. Appetizing, right? 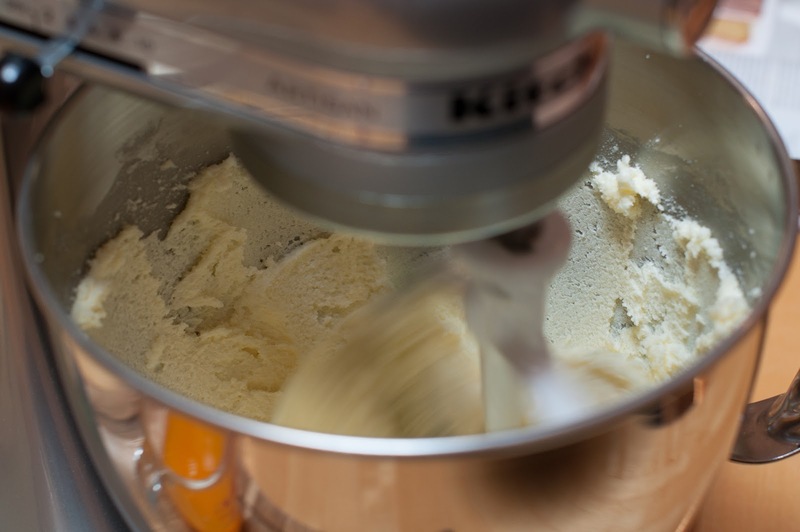 With mixer on low, add the flour mixture and yogurt in three additions. 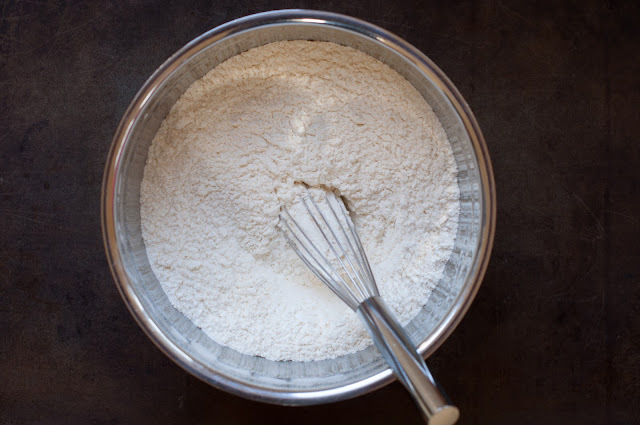 You will add in a bit of the flour then the yogurt and then the flour again and so on. Beat to combine and then beat in the vanilla. 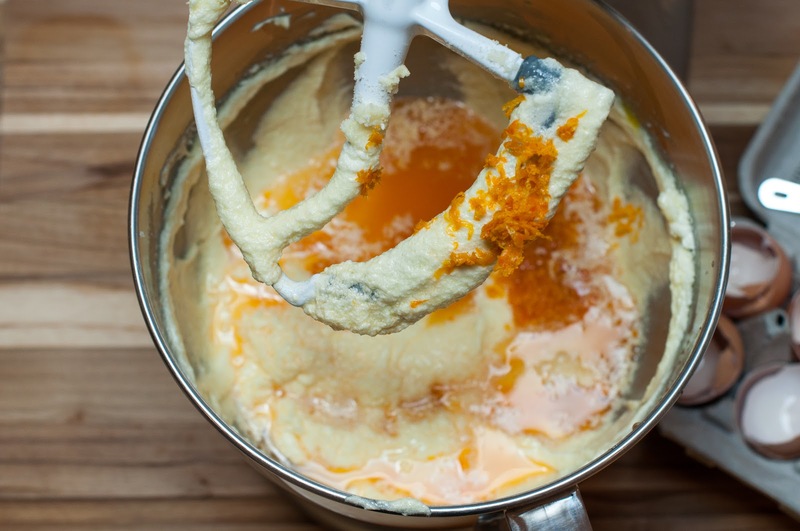 Your mixture will thicken up and look like this. Pour the batter into your bundt pan, smooth the top, and firmly tap the pan on a flat surface to remove any air bubbles and to help smooth the batter as well. 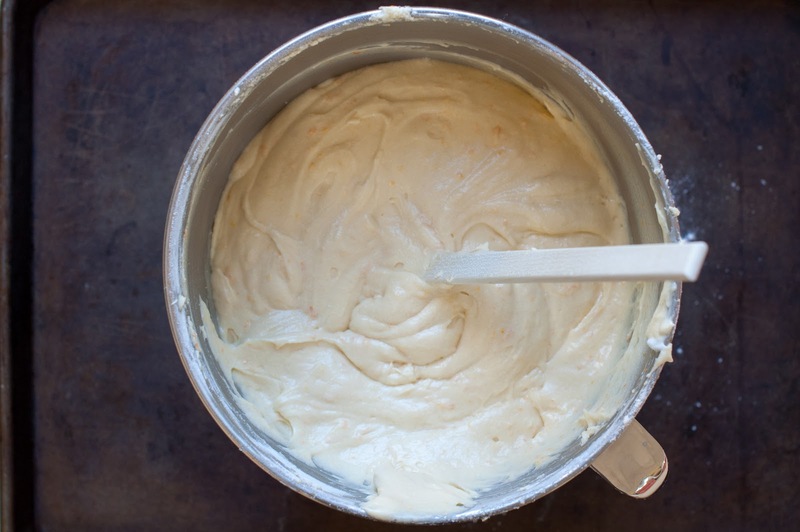 Bake the cake until a toothpick inserted in the center of the cake comes out clean, about 50-60 minutes. My cake was done in 50 minutes. Let cake cool in pan on a wire rack for about 30 minutes. Invert cake onto a cake plate or platter and let cool completely. 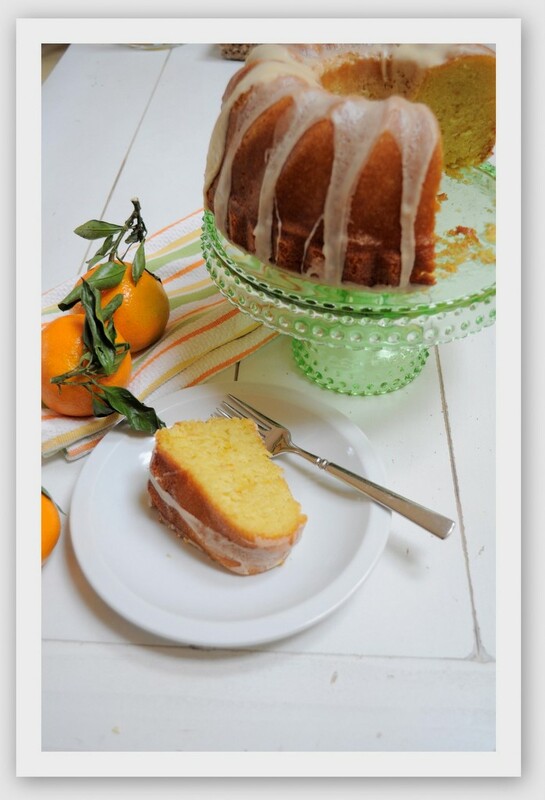 Once your cake is completely cooled, you can move onto making the glaze. 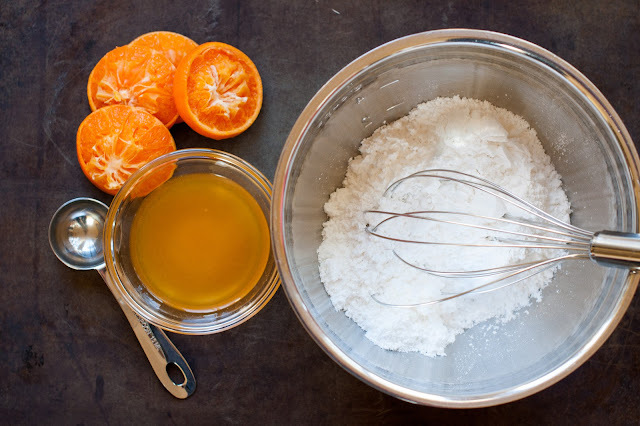 Whisk together confectioner’s sugar and tangerine juice until smooth. Note: My sauce was a bit thick so I added a bit more juice till it got thinner. The glaze will look yellow at this point, but as it sets on the cake it will turn white. Take your glaze and pour into a ziploc bag. Twist bag (so it looks like a like a pastry bag) so that the glaze can settle into one corner of the bag. 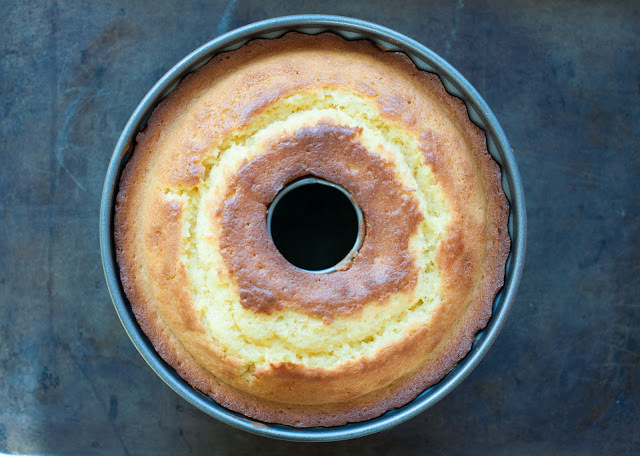 Cut a small hole in the corner of the bag and drizzle the glaze over the cake. Make sure you get a lot of glaze on the top of the cake. The glaze does soak in so you want to use all your glaze. 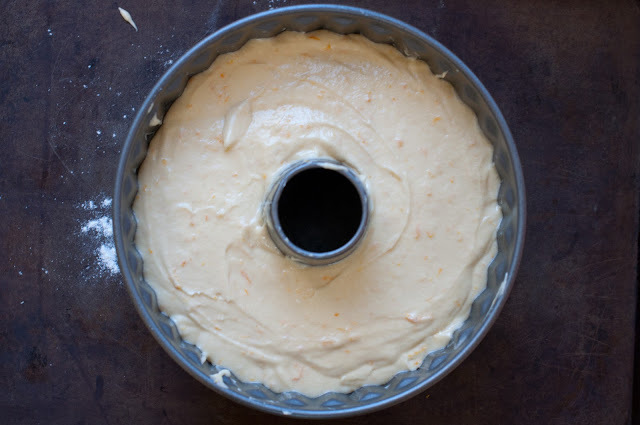 If you want to delve into your cake that day, then let cake sit for one hour to let the glaze set. 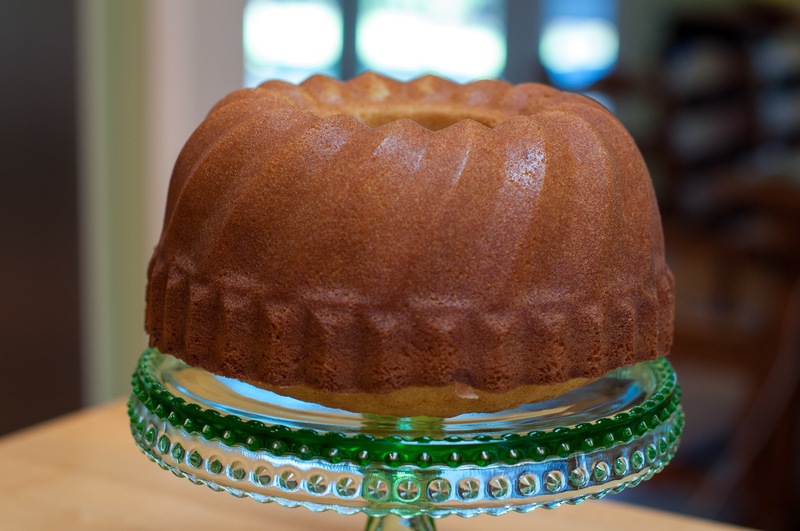 If your eating it the next day, then cover the glazed cake and store at room temperature. This is the perfect cake to serve up at breakfast or brunch or to have with your afternoon tea. It was a hit with my whole family and friends! WOW! I made this cake on Friday for my husband’s birthday party on Saturday. 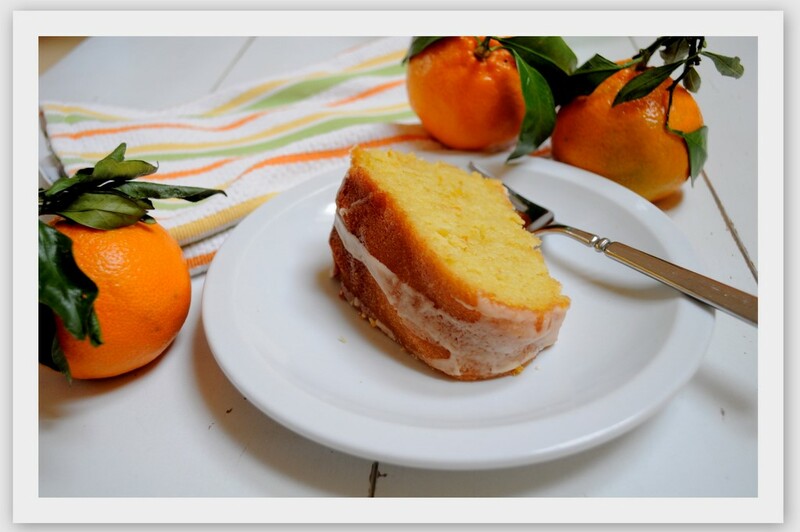 He requested a tangerine cake since we had just picked fresh sweet tangerines from the tree at his parent’s house where he grew up! It was quite magical! Then we took the cake back to the house to eat! Very special! Thank you for this post and the delicious memories! This looks beautiful and I’m sure it was delicious! Love that green glass cake plate…perfect for this cake!